Late night beer joints, food stalls spilling out across the street and a peaceful lake for a morning stroll. 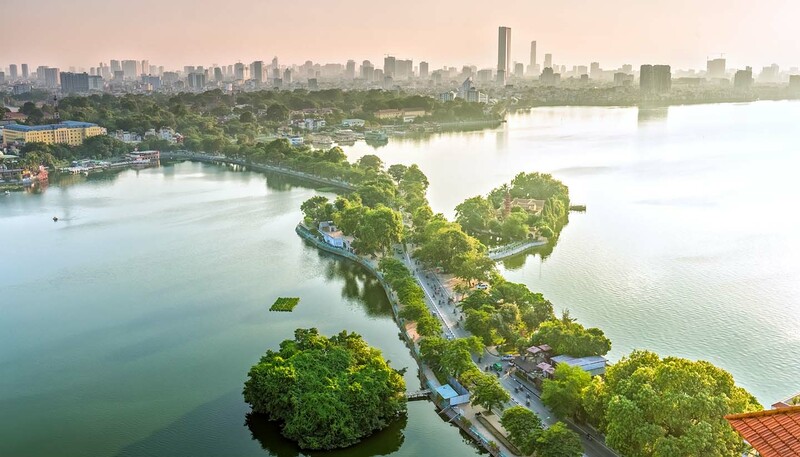 Hanoi offers an eye–popping introduction to Vietnam. 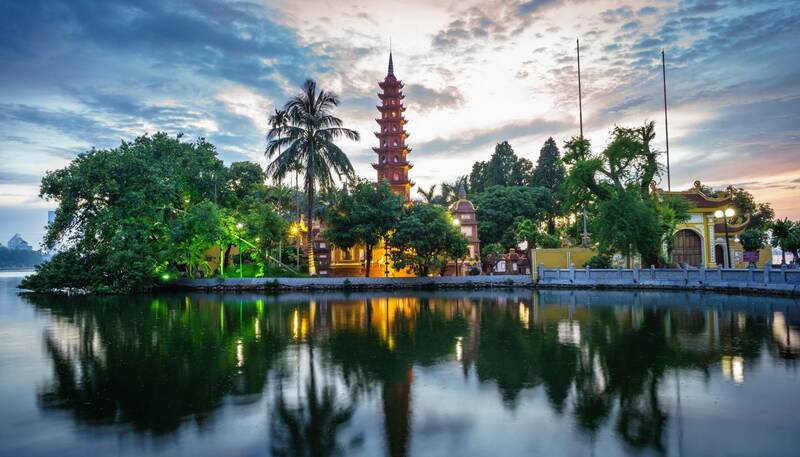 The bustling, narrow streets of the Old Quarter are the ultimate expression of Vietnam’s can–do attitude. Businesses sprawl across the narrow paths, selling everything from flip-flops to locally grown coffee. In between it all you’ll find workers taking a nap on their scooters or locals cooking up treats over an open fire. Food fanatics will find so much to love here. Don’t be put off by pulling up a child–sized chair at any one of the street side carts which dot the Old Quarter and the edges of the blissful Hoa Kiem Lake. Vietnamese food is unquestionably among the most delicious in all of Asia. Try banh mi (baguettes with cold cuts, chilli and fresh leaves) which marries Asian flavours with the fresh bread from the country’s French colonial past. Hanoi’s seafood is also legendary. That colonial history is in evidence all over Hanoi: crumbling buildings dot the city from a time before it suffered at the hands of American bombers during the war of the 1960s and 1970s. But it’s a brutalist modern building which is the city’s most famous; Ho Chi Minh’s mausoleum is an essential stop off for any visitor. Huge crowds gather everyday to file past the body of the one–time leader of Vietnam, who helped see off French and American troops. Be sure to sink a cheap and cheerful bia hoi, a light, local brew, at one of the bars around the pretty St Joseph’s Cathedral - just be careful crossing the road after you’ve had a few as the locals on their laden scooters won’t stop for anyone.